One of the biggest chains in the medical marijuana industry is expanding in Florida. WEST PALM BEACH, Fla. - A medical marijuana store is coming to downtown West Palm Beach in a matter of months. City officials confirm that MedMen is set to open a shop on March 1 at the corner of Clematis Street and Rosemary Avenue, right across the street from police headquarters. “It’s going to be helping lives and helping everybody,” said Rachele Brodie, who works directly across the street inside Keese’s American Mediterranean Grill. Brodie says the dispensary is a long-time coming. “Bring business to the area, increase our business, bring a lot of people here since that’s the first one in West Palm,” Brodie said. Several medical marijuana dispensaries have opened across our area, including one in Fort Pierce in October, and more recently, a dispensary in North Palm Beach in December. MedMen will be opening downtown next to Earth Florida Health and Wellness. “I’m really excited to see something in West Palm Beach, everything has been in Lake Worth up until this point,” said Cameron Foidel, the assistant manager at Earth Florida. Earth Florida sells CBD products, but only industrial hemp that contains no more than 0.3% THC. Medical marijuana is stronger and legal in Florida. 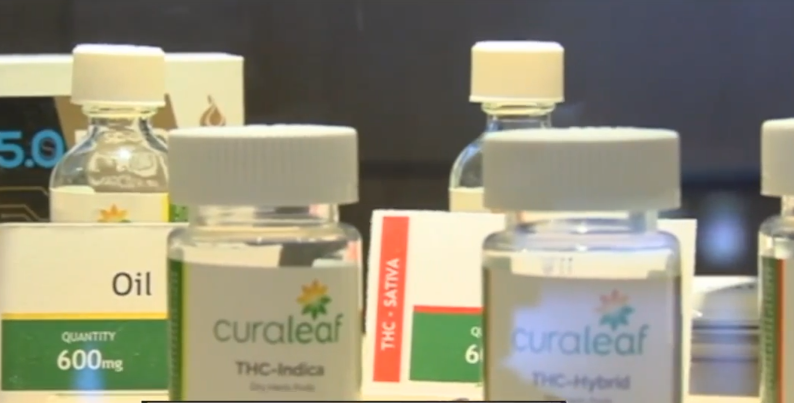 It’s used to treat conditions like cancer, epilepsy, glaucoma and other conditions. “It’s going to peak people’s interest and it’s going to direct traffic,” Foidel said. Although medical marijuana must be prescribed by an authorized physician, not everyone downtown is thrilled. “I’m not sure more pot smoking in the country is good, but at this point I don’t think there’s any stopping it,” said Bill Burns, who walks down Clematis Street almost every day. MedMen said it currently offers a delivery service in Orlando, and plans to open shops in Orlando, Miami, and Key West, in addition to West Palm Beach. According to its website, MedMen operates more than a dozen medical marijuana dispensaries in several states including Arizona, California, Nevada, and New York.